I’m a photographer and my HTC Desire is the one camera I always carry with me. Unlike many of my fellow photogs I have forgone the iPhone and opted for an Android phone instead. This two part series covers my experience choosing the best method for getting media from my phone into Lightroom, and how this process differs from other phones. In part one I recommended ways for moving photos and video from your Android phone to your computer and discussed the impact that your phone brand and whether you shoot video has upon this choice. In part two I’ll provide a quick Lightroom 3 import refresher before exploring how to prepare your videos for successful import into Lightroom. We’ve previously discussed Lightroom 3’s revamped Import feature so we’ll be jumping straight to the facets most relevant for Android users. 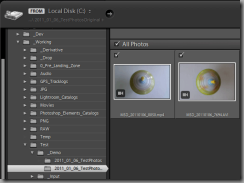 If you are using Lightroom 2 the first part of the series describes how to import photos from your phone but you will need to upgrade to Lightroom 3 if you want to manage video in Lightroom as well. A reminder before we begin. If your Import dialog doesn’t look like the one shown below you will be using the compact version of the dialog, so please click the arrow button (depicted) in its bottom left hand corner to reveal the full dialog. When importing content directly into Lightroom (option 2) you need to select either the Copy or Move import type at the top of the dialog depending upon whether you wish to leave a copy of the files on your phone or not. Add is not advisable as Lightroom’s Develop module could only work with these files when the phone was physically attached to your computer. Synchronisation (option 1) and third party import application (option 3) allow a little more flexibility because the content is already on the computer before Lightroom is asked to import it. An Add import type is acceptable in this case if you would prefer the images to remain in their current location. If you use a third party import application (option 3) to load the images and videos then chances are you have already setup the file naming and folder structure you prefer. 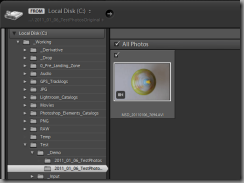 If not you may wish to use the File Renaming and Destination sections of the right hand Import dialog panel to adjust these details on the way into Lightroom. In practice this means that files using other file extensions will be ignored even if their content should technically be supported by Lightroom. 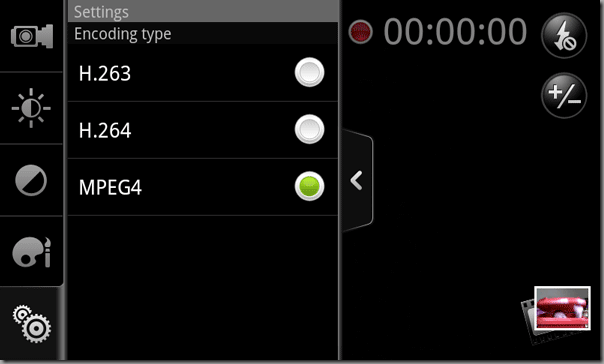 Videos with other types or file extensions will simply not appear in the grid for selection during import. Knowing this limitation we can take steps to ensure our videos will be compatible with Lightroom 3. 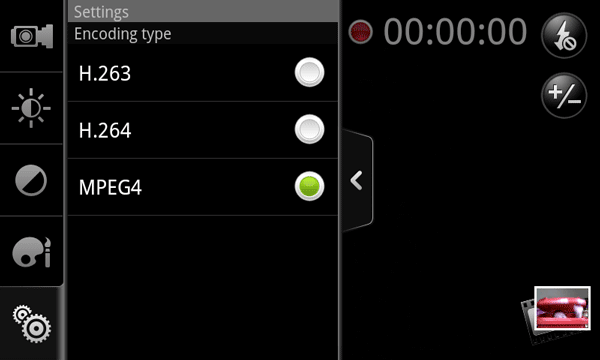 On the HTC Desire this means opening the included Camcorder application, using the menu to access the Settings tab (the gears icon in the bottom left corner of the screen) and verifying the Encoding Type is compatible with the MP4 file type. While MPEG4 is the most capable of the encoding types shown here technically they all are suitable, and your choice can be guided by the encoding quality you require. e.g. use MPEG4 if you wish to capture 720P video. Unfortunately there is no matching option to change the video’s file extension so all videos are created as 3GP files not visible to Lightroom. Now that we know the video content is compatible with a Lightroom supported file format (MP4) we only need to perform one more step before Lightroom will let us import the files. -MinorVersion -CompatibleBrands -CompressorID -AudioFormat . The video compressor and audio format are different across the two videos but fundamentally they both use the same 3GP format and brand (release). The only significant difference is the filename extension. To confirm this I manually renamed the 3GP video file from my earlier test to use the MP4 file extension and re-ran the import on the directory. 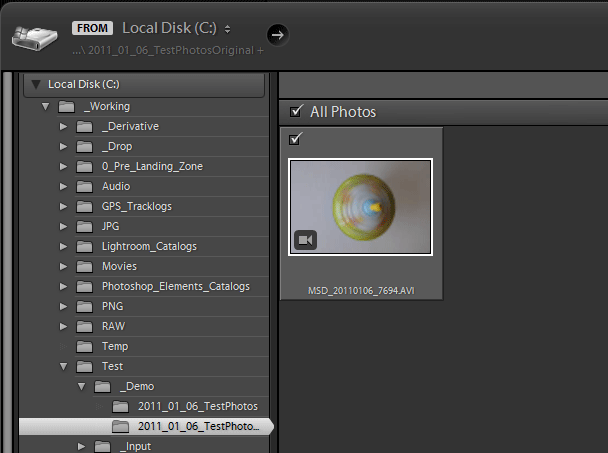 This time the video was detected, and upon importing all of the usual Lightroom 3 video features were available. The reason this works is the 3GPP and MP4 file formats are related, as described on the MP4 Registration and Wikipedia sites. 3GPP is a part of the “MP4 family” and is structurally based upon MPEG4 so it is valid to rename a 3GP or 3GPP file to use the MP4 extension. Some phones already take the step to store 3GP files as MP4 without user intervention. "-FileName=%%d/%%f.mp4" -if "$MIMEType eq 'video/3gpp'" . If you want to run this at the Windows command line or on a Mac instead you would modify this slightly by removing the extra percent (%) signs. "-FileName=%d/%f.mp4" -if "$MIMEType eq 'video/3gpp'" . Running this script or command prepares your Android’s video files for Lightroom and from here on in the import process is the same as for any other Lightroom supported file. I hope you have found this series useful and please feel free to share your experiences with us in the comments section below. You are a genius! It’s annoying that you have to go through this hassle to get your files into LR, but I’m glad you figured it out, and that you shared it for others. I’m also glad that I don’t have to worry about any of this with my Samsung Galaxy S! @Sean, thanks! The biggest challenge here was confirming this workaround wouldn’t break anything but 3GP and MP4 are related formats, and Animoto, Premiere, Quicktime and any other program I’ve tried can work with the resultant files, so this seems safe enough. Given the solution is this simple I’ll ask Adobe again to support 3GP files directly. This time I have more science to back the request up! Your two part article was great and a lifesaver when it comes to understanding what’s happening here. 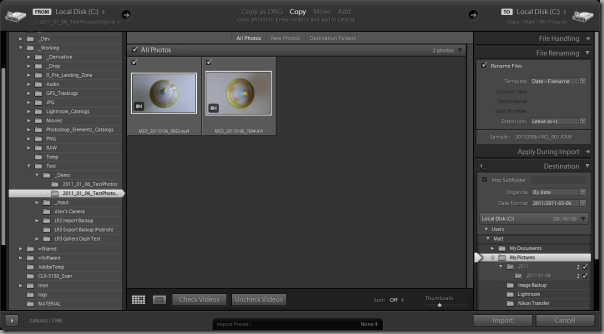 I’m using an HTC Evo for video and this is just what I need, however, I can’t seem to get the *.cmd file to work. I created an empty file by that name, pasted the first two of the options into the file, and then drag my folder of videos on top of the *.cmd file. Nothing happens other than a command window appearing that contains the cmd file contents at a prompt. It ignores further key strokes and doesn’t automatically close. No files get renamed. What am I doing wrong? @Mike, The commands listed need to be included as a single line in the script. i.e. the “-FileName=%%d/%%f.mp4” … line needs to be appended to the first line. I think this is what is causing the issue you have encountered.